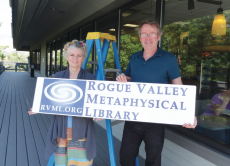 Rogue Valley Metaphysical Library (RVML) had humble beginnings 16 years ago in a 200 sq.ft. converted janitor’s closet in the back of an art gallery in Ashland’s Railroad District. The community immediately embraced it, and very quickly their collection grew and the patronage snowballed. The services expanded into producing lectures, discussion groups and workshops, and later included a media exchange. In 2015, RVML began the Architects of the New Paradigm Conference Series, and plans to continue producing events in addition to the library and media exchange services. 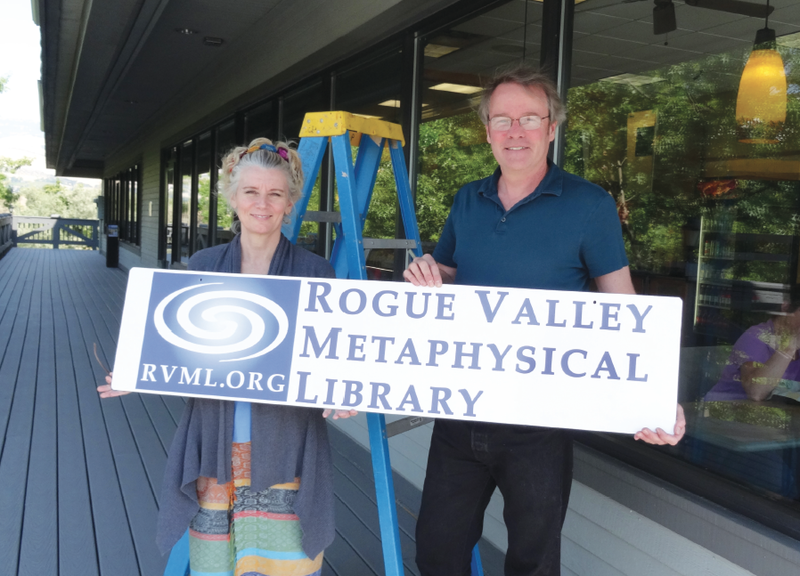 Last month, RVML relocated its collection of books, audiobooks and DVDs to a new location on Ashland Street, right off I-5 exit 14, between Albertsons and Rite Aid, behind Subway. In today’s interview I speak with Jordan Pease, RVML’s founder and executive director about the history of RVML in Ashland and about the move to their new location. Jordan, thank you very much for speaking with us today and congratulations on the success of RVML! Thank you for this opportunity Shields. It’s certainly an exciting time for us reopening in this new location. We’re really pleased with it, especially the buzz that’s been building since we announced the new location about a month ago. RVML has many thousands of titles, and the subjects here are seldom available in other places. Yes, thanks, it really is a unique collection and we’re really pleased with it. What makes it distinct is how unusual it is. A lot of work has gone into curating it over the years. We focus on including subjects not commonly available elsewhere, and making the access to them very easy and pleasant. It really is among the largest of its kind in the world as far as we know, and it’s getting even larger! 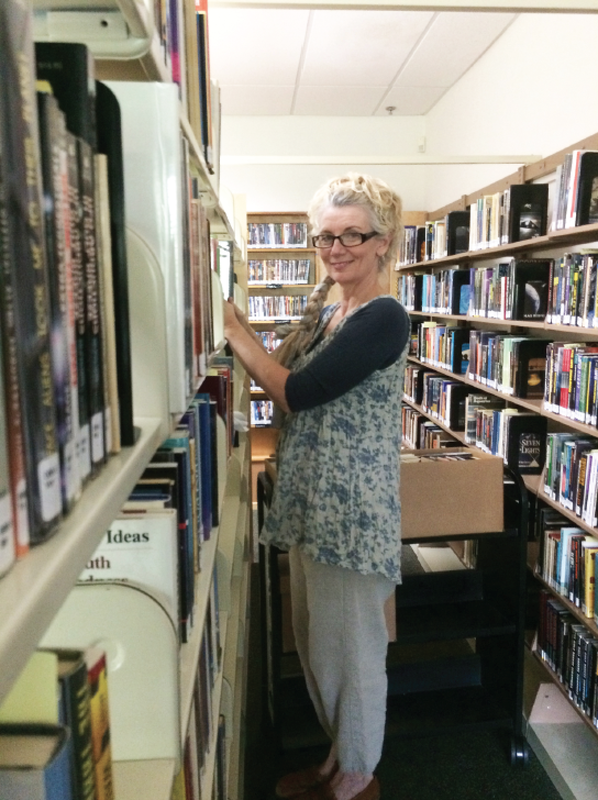 There are about 12,000 books and DVDs here right now in the Main Collection, plus several hundred more in the off-site “Book Vault”. And with many recent acquisitions and donations, there are thousands more new titles that have yet to get cataloged! We’re working to get those on the shelves as quickly as we can. OK, so what are the kinds of subjects people can come to learn about? People who haven’t been here before are usually pleasantly surprised by how it’s presented and by the kinds of information we have. The breadth of it extends beyond abstract philosophy into other subjects that are practical and relevant to the challenges individuals and society faces. Psychology and sociology are a big focus, especially personal development. Health and environmental issues are popular sections, and energy technologies too. Other sections like paranormal phenomenon are just downright fascinating! That’s where some of the most unusual stuff is. Some other popular subject categories are Native American spirituality, consciousness studies, critical thinking and reasoning, relationship skills, applied spiritual psychology. Of course traditional metaphysical topics like astrology, psychic phenomenon, yoga, numerology, crystals and gemology are here as well. Mainstay classics in conventional religious studies are included here for reference and in the interest of being comprehensive, like Christianity and Judaism for example- but we’ve always tried to keep our focus to subjects that aren’t easily found elsewhere. “Conferences” is the largest category in the video section- we have hundreds of recordings from popular events like Bioneers, Contact in the Desert, Mutual UFO Network and of course the last three years of our own Architects of the New Paradigm Conference. Many of RVML’s Tuesday Night Lecture Series recordings are also here, including several local presenters. There’s a two-page list of the subjects we specialize in on our website. What is Metaphysics and what is a Metaphysical Library? Oh boy. That question makes me nervous, and I get it a lot. If I could go back to the beginning of RVML, I would have called it something else for sure. We still call it a metaphysical library, because that’s basically what it is, but people sometimes have a low regard for what that might mean to them. Too many of the people we’d most like to serve are repelled by that word because it gets associated with religious zealotry or specious, flaky topics. Appropriately so in some instances, I’d concur. I’ve noticed that the definition of metaphysics has changed slightly over the years according to Internet resources, but I think the simplest and most accepted official definition is something like the branch of philosophy dealing with the underlying nature of reality and existence. That’s how I think of it; the “meta” issues of life and society. What are some of RVML’s goals? RVML’s official mission statement is “providing easy access to information that inspires, heals and transforms”. Said another way is that we’re just laying out a bunch of information and saying hey- this stuff seems important, and why aren’t more people aware of it? Please come check it out! Recently I heard someone describe RVML as “being in the business of blowing people’s minds,” and that’s indeed one way to regard what we’re doing here. Everybody has their own comfort zone and unique path of course, and being respectful of the sensitive and personal nature of belief systems is a big part of RVML’s approach. Our emphasis is to present unusual ideas and information, to hopefully broaden people’s existing understandings, and supporting them in forming their own ideas and conclusions- to decide things for themselves, drawn from diverse and comprehensive data sources. That’s the crux of our mission here. Sure. Indeed I’m a collector, and I also just like organizing things. Putting the spine label stickers on the books is one of my favorite things to do here. Much of the collection has been donated to us. As a nonprofit, we’ve never really had much of an acquisitions budget. Our funding comes from grants and donations, and we couldn’t be doing this without the generosity of our donors and benefactors. Curating this collection over the years has been a ton of work and a ton of fun. It feels like “kid in a candy store” sometimes when donations come it. It’s so exciting to find those juicy gems that we get to catalog into the collection and share with people. Besides all the local folks that donate to us, people may be familiar with some of these deceased authors and researchers whose former collections have found their way here: Sandra Sheppard-Wright, Neil Freer, Bill Cooper, Wendelle Stevens, Gabriel Green and Andrew Tomas, among others. Some of these people are personal heroes, so of course I love the privilege to steward books like those. Please tell us something people appreciate about RVML? One of the qualities that patrons thank us for is how we present everything in such a clean and organized way, without featuring particular subjects too much. I love hearing that feedback, and as I’ve already said; there’s a sensitive touch necessary in doing this service. We don’t want to deny our patrons the value of discovering new ideas on their own. One more thought on that please- there’s so much political rancor and bickering these days it seems, with more divisiveness than ever. We think that a lot of the ideas presented here are critical, societal challenges affecting everyone that needn’t get mired in worn-out, dialectical partisan squabbling. Certainly there are many instances where potential solutions exist that everyone can embrace regardless of their political views. Jordan, please tell us about how the library is setup. It’s “just like a real library” as we like to say, with actual library cards and all! The books are shelved using the Dewey Decimal System, and we’ve modified it a little to suit these particular subjects. 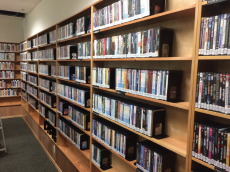 The A/V materials are separated into about two dozen categories and are shelved alphabetically by title. It’s easy to search everything using our computerized library automation software, and anybody can do it using the search tool on our website, rvml.org. How do people use the library? It’s easy and affordable. The fee for borrowing privileges is only $30 per year. At that level, up to two people can borrow up to four items at a time. There’s also a student level for $20. Family level is $55 a year, which allows up to four people to checkout eight items at a time. The checkout period for books and audiobooks is 14 days, videos are seven days. Borrowing privileges are available to residents of Southern Oregon and Northern California, and we also serve researchers and educators worldwide through our distance lending program. The details are on the website, and obviously the fees are subsidized by other sources. It’s a tremendous value at those prices we feel, and it’s important to us that the services are affordable for everyone. Yes we certainly do! They’re fully tax-deductible too. Please bring us books, DVDs and audiobooks- any subject, any condition. 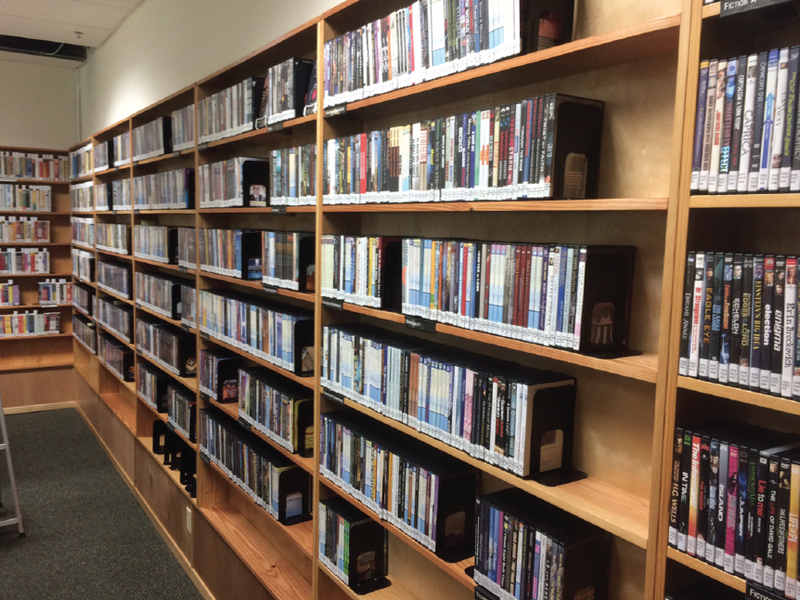 We sell certain items online to pay the bills, or pass them along to other places, but most donations go right into the media exchange or the library shelves. If people don’t need a receipt, there’s an after-hours donation box outside the door. What is a media exchange? Please tell how us how that works. How it works is straightforward and informal: People bring us donations, and they take items of equal or lesser value on the honor system. There are all kinds of subjects there, not just spirituality and metaphysics. 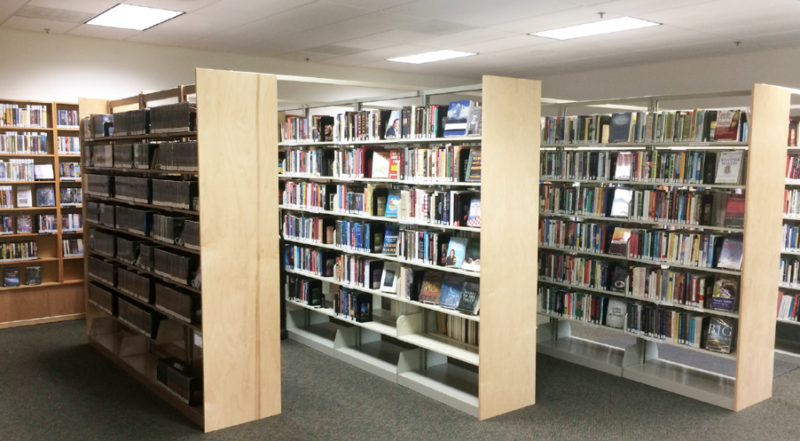 The configuration of our new space allows for about 1,000 items for exchange, in the past it’s been much larger. We keep the selection very dynamic, there’s always new stuff there. If people come in without items to exchange, cash donations are always welcome of course. Besides donating, what other ways can people support RVML? Great question, thanks for asking, and we love it that people ask us that a lot! The easiest and simplest thing to do is spread the word about RVML, especially right now as we’re getting established in this new location. Forward the emails and share the social media posts too. There’s always a poster or two on our website that people can print and share. Beyond that, the ultimate way people help us achieve our mission is to become fluent and confident in sharing these ideas with their own networks. Building community is an important part of RVML’s mission too I know. Please talk about that part. Because we know how these subjects are often belief-shattering and life changing for people, we recognize how valuable it can be to feel community support through that process. Back when RVML first started about 16 years ago, the collection was only a few hundred books and VHS tapes. 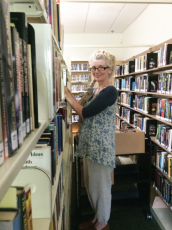 An unexpected outcome back then was how much people valued the community surrounding the library and events, as much or more than just having access to the materials on the shelves. It caused me to realize how much I would have appreciated that when I first started studying these subjects, because for me it was a very solitary experience in the beginning. I’d literally hide those books when friends came over, so the “building community” aspect of what we do is a real driver for me now. We’re not ready yet to organize weekly discussion groups again like we’ve done in the past, but we do plan to continue organizing lecture events around the valley. We’ll see what develops from there. What are the library hours and what’s the new space like? It’s great! We know people will really like it here. We’re open eight hours a day, five days a week, Tuesday through Saturday 10am to 6pm. The whole collection is searchable 24-7 on our website too. It’s easy to get here, we’re right off I-5 exit 14 between Albertsons and Rite Aid, behind Subway. There’s a really nice energy here, it doesn’t feel like a shopping mall at all with lots of trees outside the windows and Tolman Creek flowing right past the front door. Parking’s a cinch here too, and the bus stops right on the corner nearby. Jordan, do you have any last comments to share with our readers? Yes! Another huge thank you to all RVML’s donors and supporters! So many great volunteers have been involved over the years, probably hundreds by now. Plus all the presenters we’ve had- over 500 of them I think. All of our past events are archived in the web calendar archive by the way, and many of the DVD recordings are in the lending collection or online streaming. As we’ve prepared for the reopening, it’s been very gratifying to feel a new surge of community support building. Ashland is a dynamic place, and so many new people are discovering us for the first time. There are already a couple hundred Facebook followers! And thank you again Shields for your support of RVML and for being such a significant community builder too. We’re very glad for this opportunity to invite Locals Guide readers to come participate in RVML’s newest chapter of learning, growing and building community focused on integrity, authenticity and positive futures.